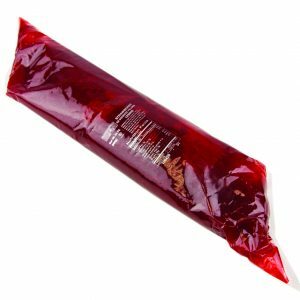 Home / Baking / Jams, Jellies & Fruit Fillings/Butters / Apple Turnover Fruit Filling 2lbs. 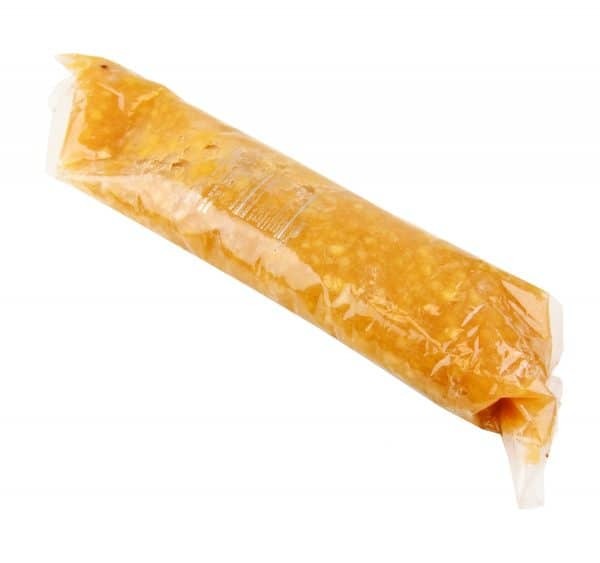 Apple Turnover Fruit Filling 2lbs. EZ Squeeze Apple has sweet apple pieces and cinnamon spice mixed in a thick sweet sauce. This EZ Squeeze Pak is simple to use, just cut the end of the bag and squeeze as much or as little filling out as you need for a no fuss and no mess baking experience. 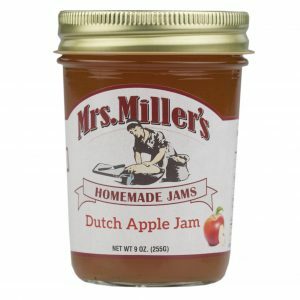 Mrs. Miller’s Dutch Apple Jam – 8 oz. 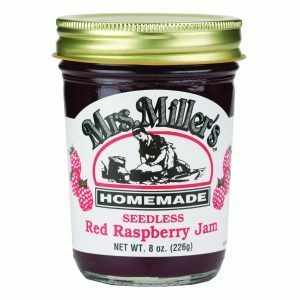 Mrs. Miller’s Seedless Red Raspberry Jam – 8 oz.